Welcome to Ann Arbor, Michigan, where the winters are cold and ruthless, but the community is warm and inviting. Ann Arbor is home to the University of Michigan and the nearly 45,000 students and 20,000 faculty members that live, work, learn, and party there. With such a big student population, the town of Ann Arbor has grown to accommodate the young crowd, and as such, has become a fantastic destination for music lovers, foodies, and culturists. Read on to learn about some of the spots where the Wolverines like to unwind after a day of butting heads in the Big House, and then check out our Travel With Purpose partnership with Graduate Hotels to see the full exclusive travel guide to Ann Arbor. You may not know it, but Ann Arbor has been a hub of the American craft beer movement since even before the trend’s formative years in the early 90s, and although the Ypsi Alehouse is a relatively new establishment, its roots run deep. The history of the Ypsi Alehouse (and their brewery, Mishigama Craft Brewing) goes back to the late 1970s when head brewer Ted Badgerow began experimenting with home brewing, which had just been legalized in the States. This hobby led to establishment of The Real Ale Co. in 1982, Michigan’s first modern craft brewery, and one of only 41 American breweries at the time (compared to the approximately 4,000 out there these days). A lifetime in the Michigan craft beer scene eventually led to the Ypsi Alehouse, where visitors down Mishigama beers, wines, and ciders, and dine on upscale American fare, all made with locally sourced ingredients. The Ypsi Alehouse is our favorite, but with so many fantastic breweries in town, there’s a few that deserve honorable mentions: Arbor Brewing Company (local brewery since 1995), Salt Springs Brewery (built in a beautiful former church), and Chelsea Alehouse Brewery (Beers and BBQ since 1995). Every college town needs a good watering hole to keep spirits high through finals season. Ann Arbor has dozens, if not hundreds, of such locations, but one has risen to above the pack in recent years. Although it is a relatively new establishment, having just opened its doors in 2015, the Ann Arbor Beer Grotto has quickly become a favorite among the local beer drinking crowd. Of course the main attraction here is the rotating selection of beers on tap, featuring a diverse selection of local and international craft brews that keeps even the most pretentious of beer snobs returning to taste the new options. Even if beer really isn’t your thing, you shouldn’t have a problem finding something to wet your whistle with their rotating trio of specialty cocktails on tap, always made with local ingredients. Need Moscow Mules by the pitcher? 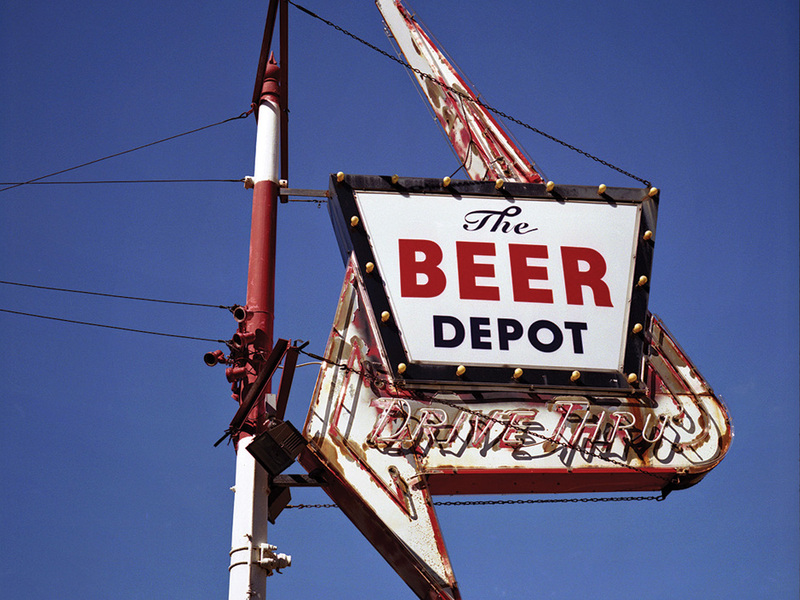 The friendly crew at the Ann Arbor Beer Grotto will hook you up. They even have a retail counter if you just want to pick up a couple crowlers to go, and a loyalty program for the real hop enthusiasts. Throw in generous happy hour specials, game day events, and a cool industrial vibe and you’ve got the best place to grab a drink in Ann Arbor. Ann Arbor is definitely a beer town: between the fraternities at U of M, the region’s long history of blue collar industrial manufacturing, and the city’s early entry in the American craft brewing scene, there’s little debate as to the preferred poison of Michiganders. But that hasn’t stopped a few intrepid souls from opening a world-class distillery in the heart of beer-drinker’s country. Enter Ann Arbor Distilling Company, a new local distillery committed to crafting spirits of the highest quality, always made with locally sourced materials. Their lineup of in-house distilled spirits includes four seasonal gins, seasonal vodkas, a coffee liqueur (used to mix the Best White Russian Ever), and a cherry eau de vie. All of these are available at their cozy tasting room, where they also host live music performances, private parties, and cocktail classes. If you love a good cocktail, you’re not likely to find one made with finer spirits anywhere in the region. If you’re looking for nightlife in Ann Arbor, The Necto is without a doubt the spot to hit up. Consistently recognized as the best spot of nightlife entertainment in the area, The Necto offers a more diverse range of theme nights and dance parties than you’ll find at most clubs in LA or NYC. Factory Monday is one of the longest running Goth/Industrial dance nights in the country, spinning darkwave and EBM over darkly psychedelic visuals for the perfect spooky night out. Mix Thursdays brings some of the hottest hip hop and electronic artists to Ann Arbor for a uniquely new event each week. Pride Friday is the biggest weekly LGBT party in Michigan (running non-stop since 1984! ), spinning 80s classics, top 40 hits, and EDM favorites for the vibrant community that has grown around the event, and hosting events like drag shows and performances by icons of the scene. Frequency Saturday is their “normal” club night, with popular DJs and themed parties, which has been voted as the premiere club night by a number of local publications. The Necto is the spot to get turnt up any night of the week. Attention all you crunchy, health-conscious, gluten-free gurus: if this list has had you rolling your eyes and reaching for your ancient grains, perhaps this last location will be more to your liking. Unity Vibration Kombucha is dedicated to brewing true raw Kombucha teas and beers, and is the only brewery of its kind in the area. Unity Vibration is the product of husband and wife team Rachel and Tarek Kanaan, and like a number of other successful breweries in the area, UVK grew from their humble hobby of brewing at home and sharing drinks with friends. They make all their brews by hand in small batches, experimenting with various local ingredients to uncover new flavors for their ever-expanding line of beverages. Everything they brew is vegan-friendly, gluten-free, locally-sourced, and of course, true to the old traditions of making raw, natural kombuchas. Their tasting room is open on Fridays and Saturdays, where they offer their entire range of year-round and seasonal brews.